Siri co-founder Kittaus: When Steve Jobs phoned, I knew we'd made it. Apple’s iPhone 4S has performed amazingly well since its launch, topping four million sales in its launch weekend and depending whether you believe industry sources or technology analysts, shows no sign on slowing. Perhaps one of the factors behind the success of the new iPhone is Apple’s inclusion of Siri, a new virtual assistant embedded within the software on the new smartphone which can help owners organise their diaries, send messages and query the week’s weather with only their voice. Siri was not only the name of its voice application, it’s also the name of the company that created it. 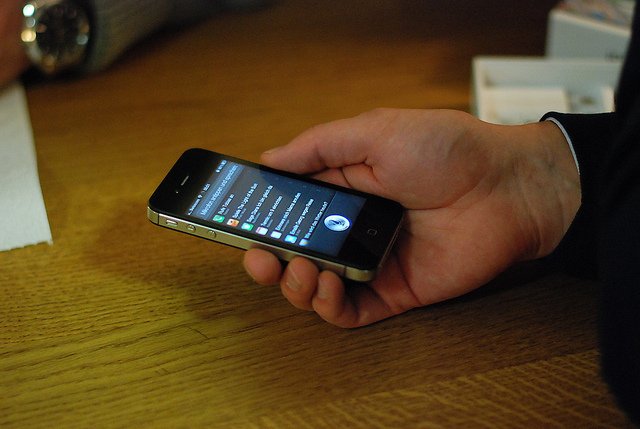 Siri – the company – was founded in 2007 by Kittlaus, Adam Cheyer, Tom Gruber and investment company and as acquired by Apple in April 2010 for a reported $200 million, leading co-founder Dag Kittaus and his team to move to Cupertino to develop their technology for the company’s next-generation smartphones. Of course it was a great moment when Steve Jobs called and wanted to buy my company. It was surreal. When I heard that it was him, I knew we had made it big. In advance, we were pretty confident that the technology we had developed was so startling that we would get some kind of breakthrough. Steve was the first caller. To finance the development of the software, Kittaus sold his house in Chicago and moved to Silicon Valley, taking a huge risk that the company would be able to find success in California, struggling to make ends meet in the process. However, with Apple’s purchase in April 2010, Kittaus saw the majority of the money, meaning that when Apple finally launched Siri, he was able to quickly announce that he was to step down from his position at the company and leave his Siri coworkers to continue their work. Well, my strongest reaction came when I realized how sick he was, that he had not long to live. There I realized the job, we were together every day. My reaction to that was a lot stronger than I was prepared, it put me out properly. He is the inventor in history that changed the most, dozens of industries around the world is turned upside down. These days, Kittaus is on the board of a Chicago non-profit that helps organise homework help for children that don’t have the support at home. He is also “writing a novel, a techo-drama from the future”, whilst brainstorming new projects.